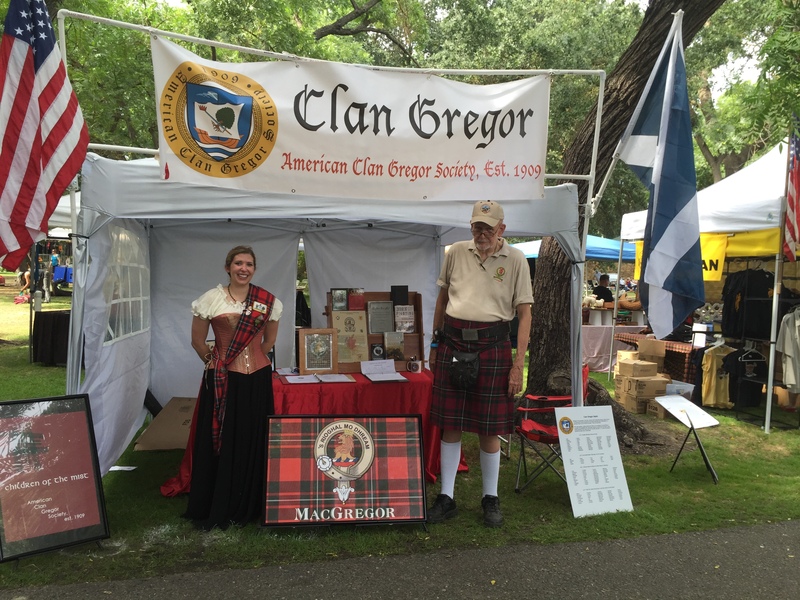 As Area Deputy Chieftain of the American Clan Gregor Society, I represented ACGS at the Modesto Scottish Games and Celtic Festival yesterday, June 6, 2015, in Modesto California. The games were wonderful, the booth was a huge success, and the pictures should say the rest! Take a look at my album on Carousel for some great videos of the Mass Pipe Band walking by my tent! 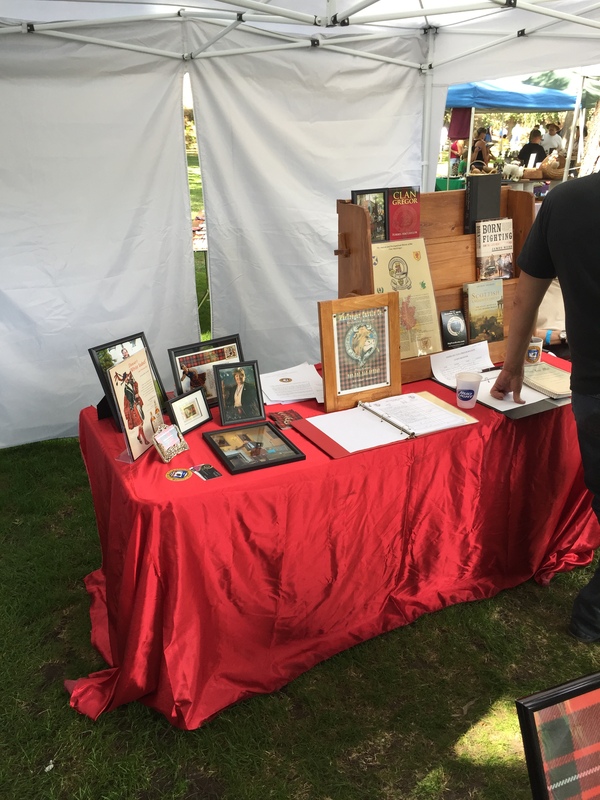 Thank you VERY MUCH to the St. Andrew’s Society of Modesto for hosting this event at the Tuolomne River Park. PS: A corset is NOT the most comfortable thing to wear in 90 degree weather with no breeze. Just pointing that out. It’s not enough to be proud of your ancestry. Live up to it.